"Sampath Speaking" - the thoughts of an Insurer from Thiruvallikkeni: Adam Zampa torn by Hardik Pandya ~ Sydney bowler passes away !! Adam Zampa torn by Hardik Pandya ~ Sydney bowler passes away !! More than 3 decades ago in Dec 1984, a 38 year old, an Engineering surveyor, debuted against a strong touring side - this man went on to play only 11 tests taking 34 wickets but did considerable damage in two of them. That was David Boon’s Test debut and turned out to be Kim Hughes’ last as Australian captain, an eight-wicket defeat prompting his resignation after Test cricket’s 999th match. Identify this bowler ? He bowled in only one innings, taking 2-97 off 27 overs as the West Indians, with Richie Richardson cracking 138 and Clive Lloyd 114, reached 424. He had to face Garner, Marshall, Holding and Walsh, batting at No. 10, ahead of Rodney Hogg, survived 22 deliveries in the first dig before flashing at and edging a Garner short ball. He had time to turn and watch Dujon, standing about 20m back, glove a spectacular catch. His second innings was brief: knocked over first ball by Marshall. Chepauk was set ablaze by sensational six hitting of Hardik Pandya. Long long ago, in a Ranji match, I saw Kirti Azad clobber Venkat, the ball hitting the hard roof slab near the score board above A stand and thudded down ~ today saw two similar shots by Hardik – one of Zampa and another of Stonis ? Hardik and MS Dhoni carried on the good work sharing a good partnership to take India to 281 for 7, a challenging total ! 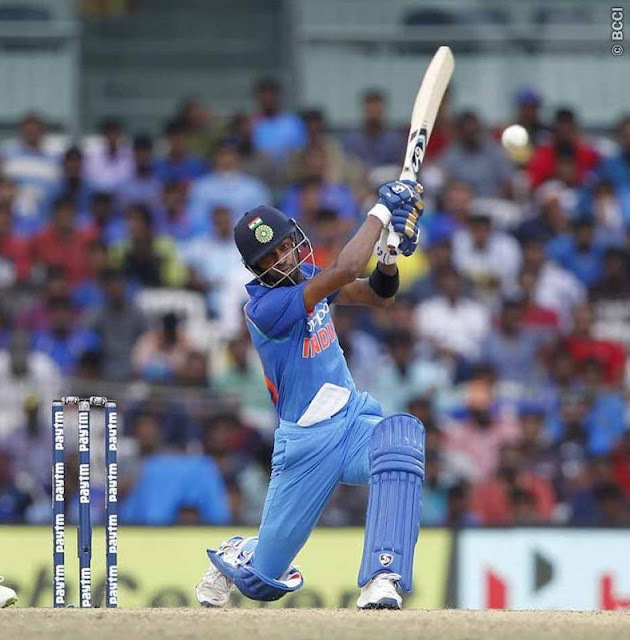 - The innings had everything: early wickets to extra bounce, a superb catch to send Virat Kohli back, the Pandya counterattack, the Dhoni solidarity. 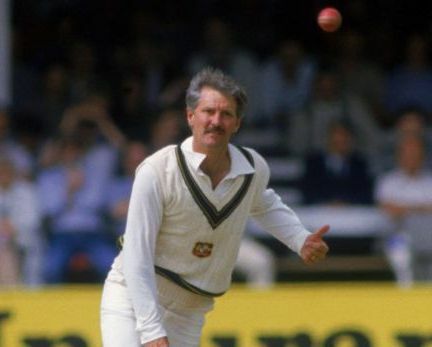 Back home in Australia, Bob Holland, the legspinner who in 1984 became Australia's third-oldest Test debutant of all time, has died at the age of 70. Holland had been diagnosed with an aggressive form of brain cancer in March this year. He died on Sunday after suffering a brain bleed while in a Newcastle hospital, where he was being treated for broken ribs suffered in a fall last week. On Friday night, Holland had attended a function in his honour, hosted by former Test captain Mark Taylor. A latecomer to first-class cricket, Holland made his debut for New South Wales at the age of 32, but still managed to accumulate 316 first-class wickets at 31.19. His Test debut came at the age of 38, against West Indies at the Gabba in 1984; the only Australians to make their Test debuts older than Holland were 46-year-olds Don Blackie and Bert Ironmonger in 1928. It is Bob Holland mentioned in the starting para - who after his 38th birthday debuted. At Sydney, it was to be the farewell test for Big Clive Lloyd – Alan Border was the new Captain, Aussies batted first. Kepler Wessel’s 173 hoisted them to 471/9, Holland not required to bat and WI pacers Marshall, Holding and Walsh going for more than 100 runs. The powerful lineup of Greenidge, Haynes, Richardson, Gomes, Richards, Lloyd, Dujon was bundled out for 163 – with Bob Holland taking 6/54 and Murray Bennet taking 2. Border enforced the follow-on and the wicket continued to turn. This time, Bennett got Richards. Holland made use of the conditions, bowling with control and variation, to take 4-90, giving him 10 wickets in the match. The Australians won by an innings and 55 runs. He toured England the following winter, playing in four of the six Tests. He took 5-68 at Lord's. In Sydney the following summer, he bowled Australia to victory over New Zealand with another 10-wicket haul, in the series won by the Kiwis 2-1. He played last in January, 1986, against the Indians at the SCG. Gavaskar, Srikkanth and Armanath made centuries and the leg-spinner had 1-113 off 21 overs. The flamboyant Krishnamachari Srikkanth went after him, hitting 20 in a single over – which in those days was too much. That match in Jan 1986 ended in a draw. Sunil Gavaskar and Krish Srikkanth had a partnership of 191 and the next wicket fell at 415 only. Aussies were all out for 396 with runrate of 2.20 per over; followed on and saved the match with score at 119/6 in 77 overs. Srikkanth who made 116 off 117 balls was the man of the match.